RF Events - 2017-10-04 - What can you do about it? 2017-10-04 - What can you do about it? Baby Goat here, Randy's youngest and admitted (not quite as) obsessed runner stepping in for the Midweek Runmail! A few mornings a week I run with my mom. These runs are our therapy: we talk about life, how we can do better as wives/sisters/daughters/employees etc., how to deal with the everyday stresses of this world... and let's be honest, we do a little complaining. We were gabbing and griping this morning when I thought hold on, you know what my (very wise) husband would say? Whenever I'm complaining, worried, stressed, or annoyed he asks me, "What can you do about it?" Generally, the answer is nothing. So I drop it and move on. I'm adopting the question as my new mantra in both life and running. 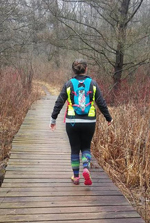 When I'm behind on my training (which I am) or miss a run (which happens more often than I'd like to admit) or I'm stuck on US-23 for the 3rd day in a row... WHAT CAN I DO ABOUT IT? I love this quick jolt back to reality and so I'm passing it on to you. Let's try to spend our time and energy focusing on the things we CAN change, it's time and energy well spent. Baby Goat, an admitted (not quite as) obsessed runner, who is going to work toward making the daily run a more positive and uplifting experience. PS: We need some volunteers for this weekend's Run Scream Run! What can you do about it? 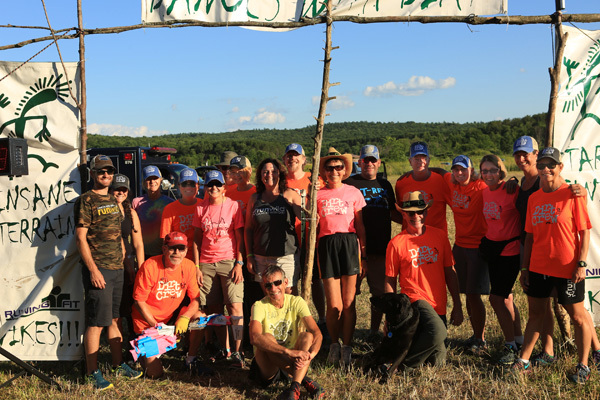 Give back to the running community and join us! Be a part of the ScareCREW. Volunteers receive a spooky shirt, cider and doughnuts, a $30 voucher towards a future event and a great big thank you! Check it out here.